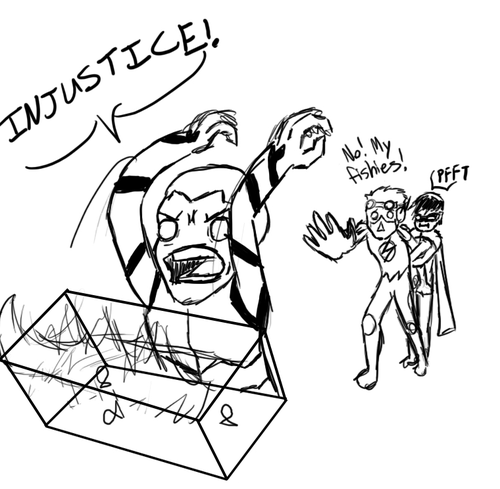 injustice. XD INJUUUUUUUSSSSTICEEE!. HD Wallpaper and background images in the Young Justice club tagged: young justice kid wally flash robin aqualad. This Young Justice fan art might contain ڈاؤن لوڈ ہونے والے, مزاحیہ کتاب, منگا, کارٹون, ہالی ووڈ, and کامک بُک. this is from a sketchdump, but i i really didnt like the rest of the sketch dump, so i just took this part out. it makes me laugh. OMG!!! THANK YOU KALDUR FOR BEING HILARIOUS!!!!! lol, i luv his face! 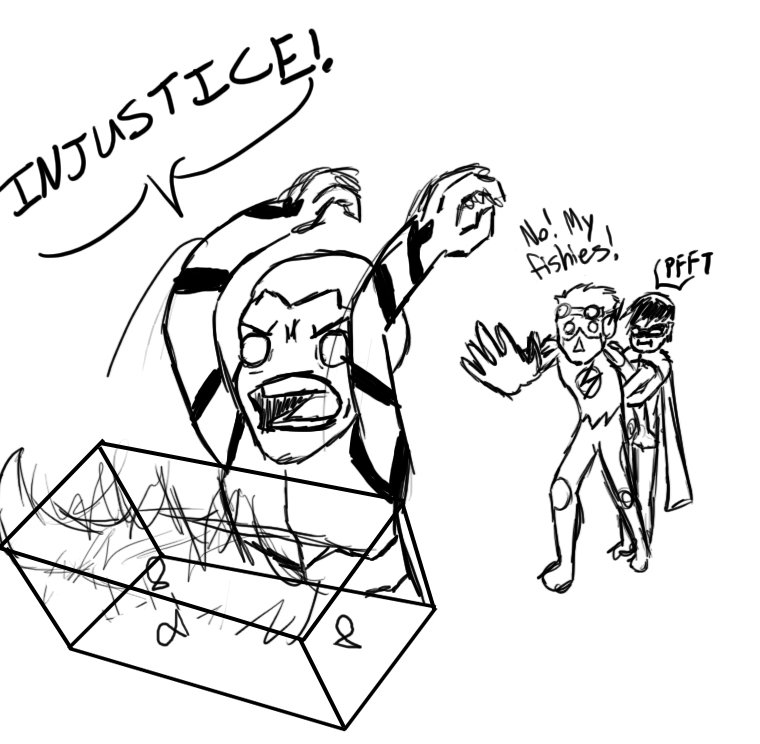 My friends dont know anything about DC comics Injustice!! !